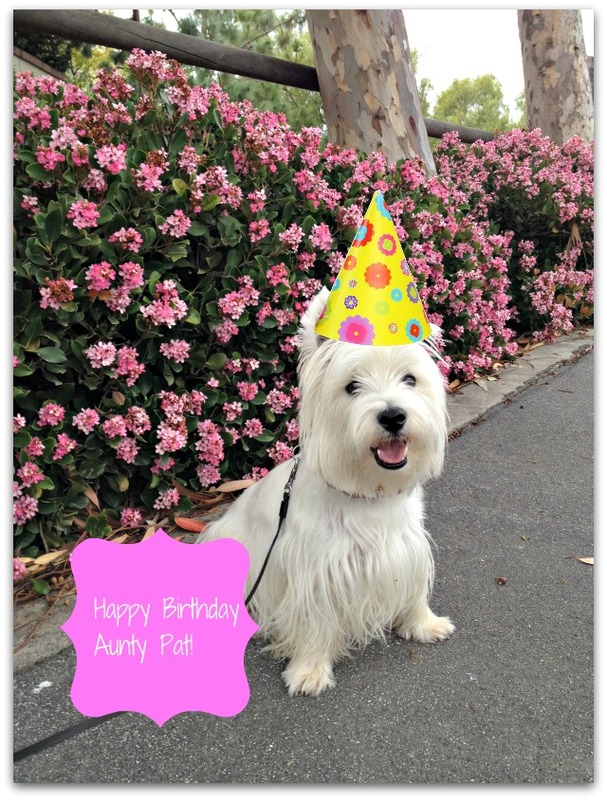 Happy birthday to your Aunty Pat, Duncan! You look so cute in your pawty hat! We hope she shares cake with you! Happy Birthday to Aunty Pat!! Have a great day ok? Duncan you really love your Aunt Pat. Tell her we said Happy Birthday too! I have an award for you!!! Check it out on my bloggie!!! PeeSSSS you look lovely in that birthday hat...hope you got cake! Cute picture! Happy Birthday to your Aunt!